Welcome to San Salvatore Hospitality Service! San Salvatore is a listing building, located in the original San Salvatore monastery in Chania which is now an establishment offering short and long term accommodation and hospitality services. By accessing this website you accept these terms and conditions in full. Do not continue to use San Salvatore's website if you do not accept all the terms and conditions stated on this page. The following terminology applies to these Terms and Conditions, Privacy Statement and Disclaimer Notice, House Rules and any or all Agreements: "Client", “You” and “Your” refers to you, the person accessing this website, or making any agreement with San Salvatore Hospitality Service and accepting San Salvatore's terms and conditions. "San Salvatore", “Ourselves”, “We”, “Our” and "Us", refers to the proprietor Maria Anousaki and her close family. “Party”, “Parties”, or “Us”, refers to both the Client and ourselves, or either the Client or ourselves. All terms refer to the offer, acceptance and consideration of payment necessary to undertake the process of our assistance to the Client in the most appropriate manner, whether by formal meetings of a fixed duration, or any other means, for the express purpose of meeting the Client’s needs in respect of provision of our stated services in accordance with and subject to, prevailing law of Greece. Any use of the above terminology or other words in the singular, plural, capitalisation and/or he/she or they, are taken as interchangeable and therefore as referring to same. We try our best so that our website will only be available at all times, but we do not guarantee that our website, or any website content, will always be available or be uninterrupted. We may suspend our website at any time without notice and for any reason, including for upgrade, maintenance, repair, prevention of damage, and investigation. We may suspend, withdraw, discontinue or change all or any part of our website at any time without notice. We shall have no liability to you (including in negligence) if our website is not available for any reason, and we shall have no obligation to you to make sure that our websites are available to you at any time. Our website and services are intended for use by those 18 years old or over. No one under that age should use our website or services. If you are under the age of 18 years please leave our website immediately. Our website and any bookings or other transactions conducted through this web website are in the English language(s). We do not offer any other languages at the moment. Unless otherwise stated, San Salvatore Hospitality and/or it’s licensors own the intellectual property rights for all material on San Salvatore Hospitality. All intellectual property rights are reserved. You may view and/or print pages from http://www.sansalvador.gr for your own personal use subject to restrictions set in these terms and conditions. Republish material from http://www.sansalvador.gr without reference to the source. Sell or rent material or services advertised on our website without our permission. Sub-license material from our website. Reproduce, duplicate or copy material from our website without our permission and reference to the source. Redistribute content from our website (unless content is specifically made for redistribution). Certain parts of this website as well as partners' websites, offer the opportunity for users to post and exchange opinions, information, material and data ('Comments') in areas of our website and partners' website. 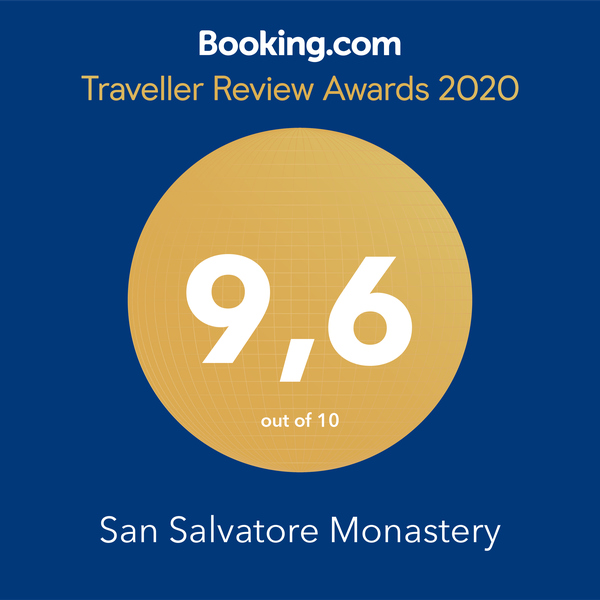 San Salvatore Hospitality does not screen, edit, publish or review Comments prior to their appearance on the website and Comments do not reflect the views or opinions of San Salvatore Hospitality, its agents or affiliates. Comments reflect the view and opinion of the person who posts such view or opinion. To the extent permitted by applicable laws San Salvatore Hospitality shall not be responsible or liable for the Comments or for any loss cost, liability, damages or expenses caused and or suffered because of any use of and/or posting of and/or appearance of the Comments on this website. San Salvatore Hospitality reserves the right to monitor all Comments and to remove any Comments which it considers in its absolute discretion to be inappropriate, offensive or otherwise in breach of these Terms and Conditions. You hereby grant to San Salvatore Hospitality a non-exclusive royalty-free license to use, reproduce, edit and authorize others to use, reproduce and edit any of your Comments in all forms, formats or media. We will approve link requests from these organizations if we determine that: (a) the link would not reflect unfavourably on us or our accredited businesses (for example, trade associations or other organizations representing inherently suspect types of business, such as work-at-home opportunities, shall not be allowed to link); (b)the organization does not have an unsatisfactory record with us; (c) the benefit to us from the visibility associated with the hyperlink outweighs the absence of San Salvatore Hospitality; and (d) where the link is in the context of general resource information or is otherwise consistent with editorial content in a newsletter or similar product furthering the mission of the organization. If you are among the organizations listed in paragraph 2 above and are interested in linking to our website, you must notify us by sending an e-mail to sansalvatore.chania@gmail.com. Please include your name, your organization name, contact information (such as a phone number and/or e-mail address) as well as the URL of your site, a list of any URLs from which you intend to link to our Web site, and a list of the URL(s) on our site to which you would like to link. Allow 2-3 weeks for a response. No use of San Salvatore Hospitality’s logo or other artwork will be allowed for linking absent a trademark license agreement. We reserve the right at any time and in its sole discretion to request that you remove all links or any link to our Web site. You agree to immediately remove all links to our Web site upon such request. We also reserve the right to amend these terms and conditions and its linking policy at any time. By continuing to link to our Web site, you agree to be bound to and abide by these linking terms and conditions.